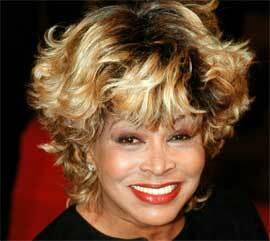 Here is an article about the Tina Turner heritage days this weekend. This weekend Tina Turner fans will be in for a treat as Brownsville will host Tina Turner Heritage Days on Friday and Saturday. The event, which will be held at the Delta Heritage Center, will include tours, concerts, painting and a stew competition. All proceeds from the event go toward the restoration of Turner’s childhood school, Flagg Grove. Friday night is fan appreciation night and includes a reception and exhibit of Tina Turner posters, according to a news release. "A documentary titled, "From Muskogee to Nutbush" will follow. The film, made during the 2012 visit to Nutbush by a group of young artists from Muskogee, Okla., creates a parallel between the two cities, including their struggles with adversity and segregation and highlights the common bond that is part of the journey — music". Also on Friday night, Knut Roppestad, a Norwegian bluesman, will perform. Born and raised in Horton, Norway, he began his American adventures in the 1980s and continues to travel and perform in the U.S. at every opportunity, the release said. 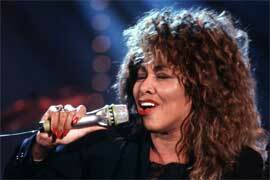 "I’ve been a longtime fan of Tina Turner since seeing her live in Oslo", Roppestad said in the release. "I promise a steamy version of "Steamy Windows" for the fans". According to Sonia Outlaw-Clark, director of the West Tennessee Delta Heritage Center, the poster exhibit will include a lot of first-time posters that have never been shown before. "I am very excited", Outlaw-Clark said. "Excited because fans are wanting to come here". Although Tina Turner will not be attending this year’s event, Outlaw-Clark said Turner is very involved with this project, which started as a fan celebration for Turner’s childhood school, Flagg Grove. Outlaw-Clark said that Turner is donating memorabilia to be on display in the school. On Saturday, people will be able to go on tours of Nutbush, Turner’s childhood home, paint an abstract of Turner on a vinyl record, taste stew from a competition and hear live music from the Spotlight Rising Stars of Muskogee. On Saturday night, former Flagg Grove School student Lollie Mann will open the show with original gospel numbers and share her memories of time spent at Flagg Grove, the release said. According to Outlaw-Clark, Mann and Turner did their devotionals together. Following Mann is a Jackson band called Highway Band. They have performed together since 2011, and have worked with such legendary performers as Carl Mann and Eddie Bond, the release said. 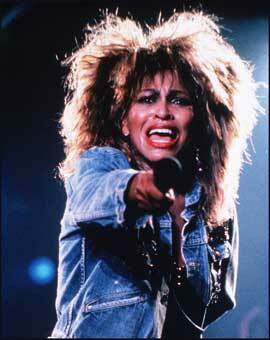 Concluding the weekend’s festivities will be Tina Turner tribute artist and rhythm and blues performer, Dorothy Cole. "Energetic and fun, Cole began her career as a tribute artist in 1993 when she won a Tina look-a-like contest while performing Proud Mary", the release said. Since then, she has performed all over the country in England where she shared the stage with Rod Stewart during a special performance tribute to Tina. 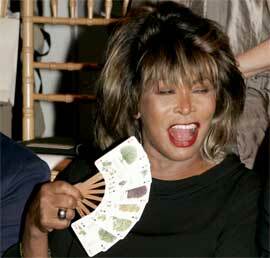 A Chattanooga native and Decatur, Ala., resident, Cole appeared in Haywood County for the 2002 dedication of Tenn. 19 as "Tina Turner Highway". In the news release, Cole said, "I’m excited about being back in Brownsville. Performing in Tina’s hometown is always a privilege and I’m especially excited to be a part of the first Tina Turner Heritage Days". All events are at, or originate from, the Delta Heritage Center, unless otherwise noted. Tickets for tours and concert available online. Tickets will also be available at the door or call, (731) 779-9000 to reserve. 9:30 a.m., Nutbush tour: Tour Nutbush and Tina Turner sites including the former site of Flagg Grove School, Woodlawn Baptist Church and Carver High School. Cost is $10 and tour is approximately two hours. 11 a.m. to 2 p.m., Spotlight artist performances: Spotlight artists from Brownsville and Muskogee, Okla. will perform from the porch of the Sleepy John Estes home. 2:30 p.m., Nutbush tour, tour Nutbush and Tina Turner sites including the former site of Flagg Grove School, Woodlawn Baptist Church and Carver High School. Cost is $10 and tour is approximately two hours. Lollie Mann, former Flagg Grove School student and gospel artist, will open the show. Music Highway Band follows with rockabilly sounds from the past. Dorothy Cole returns to Brownsville with her Rhythm and Blues show featuring a tribute to Tina Turner. Concessions for the evening will be provided by the Boys and Girls Club — Brownsville Unit. The B&G Club is located in the old Carver High School building where Turner attended high school for a short while, and all proceeds from concessions this night will go toward programs of the club.